Kicking off with the catchy “Duquesne Whistle,” which Dylan co-wrote with Robert Hunter and is one of the few songs in his catalog you could genuinely dance to, Tempest features the gravelly-voiced legend at his best on eleven endlessly enjoyable tunes that generate a haunting power over your soul the more you listen to them. Beneath the soulful vocals and eloquent music lie tales of death, romance, and the passage of time. No one can take those reverent subjects and turn them into the fodder for great music like Bob Dylan. 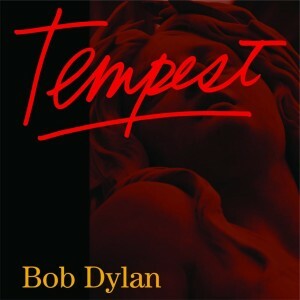 In time, Tempest will be regarded as one of the greatest albums Dylan recorded in the wake of his 1997 creative and cultural rebirth. It is the perfect music for those of us accustomed to raging against the dying of the light to quote Dylan Thomas, the poet who gave the former Robert Zimmerman the name he would take at the beginning of his career and the one that will be remembered for centuries after the man finally passes from this mortal realm. You can also purchase Tempest on CD for just $9.99 and get the MP3 version for free with it. Note: when you purchase MP3s through Amazon, it stores your purchases to Amazon’s Cloud Drive; from there you can stream the music right from their online player. Also, if you have a Kindle Fire, your MP3 purchases will automatically be available for you to stream on your device. All your purchases are backed up and available for you to download at any time. You can download the files to your computer to load to an MP3 device and to your iTunes account if you have one. If you’d like to gift these MP3 purchases, you can – just click the “Give album or song as gift” button on the right on the product page. From there you enter the recipient’s email address and then select either specific songs to gift or the entire album. ‘Doctor Who’ Returns This Spring, But What Happens After Series 7 Ends?